Santa Pod Presents The Big Bang Camper & Bus Show 2013. The Show your VW was invented For! Santa Pod’s Big Bang show always kicks the outdoor VW show season off in style and this year, The Pod has turned everything up to ‘11’ to create one of the most astounding line-ups to date! This year’s show runs from Friday 26th to Sunday 28th April. 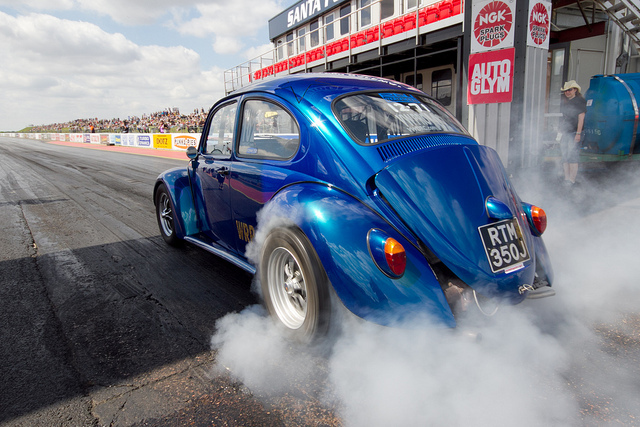 As you might expect, quarter mile action features heavily in proceedings with RWYB running on Saturday and Sunday to allow you to shake your own VW down to a tarmac terrorising time on Europe’s best drag strip… or not, as the case may be. The pros will also be on hand to show us all how it’s done, with the VWDRC classes of VW Pro and VW Sportsman blasting the track, plus the hot rods of Outlaw Anglia, along with 8.50 Bike, 9.50 Bike, Sportsman ET, The Jap Drag Series, Junior Dragster and Junior Drag Bike! Enough race machinery for you? 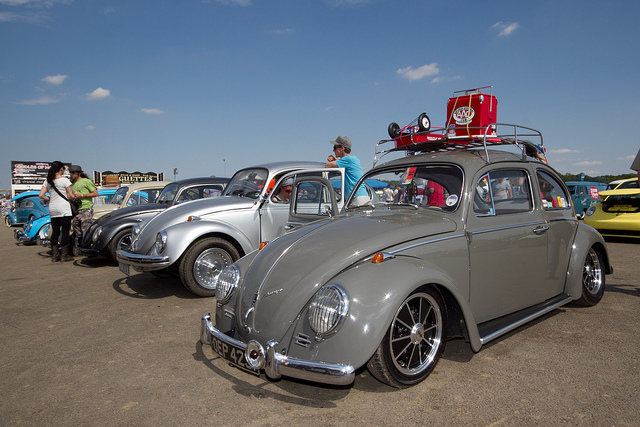 Many of the UK’s finest show VWs debut at Big Bang, so expect to see some perfectly-prepared examples competing for trophy honours, as well as some of the shabbiest – looking to take the ‘Rust and Rat’ title. Volksworld magazine will also be seeking the best ‘Show and Go’ cars that balance that perfect combination of show-stopping looks with clock-stopping speed. If you have built yourself a true Old School, twin-40’d ‘Looker, then make sure you line up for this one! Music is a big part of any ‘dubber’s life, so Big Bang has pulled out all the stops to keep guests rocking into the wee smalls. A full line-up of brilliant party tunes and serious live music across two arenas mean that whatever floats your boat, there’s bound to be something to make you boogie at Big Bang, including live bands and DJs. The Fool Fighters, First Rate and Now & Then, plus The Greatest Take That Tribute mean there’s no excuse for not getting down!